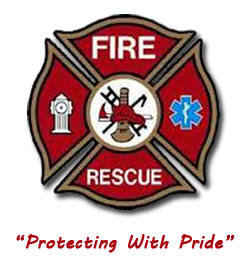 Today the Cornwall and District Fire Department fluctuates around 30 members who put in a minimum of two Monday evenings per month, plus emergency calls. Some of those members are also Medical First Responders. The department currently has three trucks that serve the community. Two fire engines and one smaller truck that serves to fight fires and respond to medical calls. The fire department would not exist today if it hadn't been for the generous donation of approximately 1.5 to 2 acres of land from Stewart and Ruth Joudry in 1976. The department was then officially founded following the construction of the hall in 1977. Lawrence Veinotte, and family, further donated another 0.5 to 1 acre of land for the parking lot. In 1984 a second story was added to the fire hall to accommodate the growth of the department and its many fund-raising events such as pie sales, dances, breakfasts, chicken barbeques, garden parties and many more socials and events. In 2013 the fire station underwent and extensive renovation, including new windows, doors, siding, and stone façade. The department's first brand new truck was Truck #2, a 1990 Ford chassis that was then outfitted with a 20 year old milk truck's tank and installing a brand new pump turning her into a functional pumper/tanker that shuttled water to the scene of many fires (recently taken out of service and given to our neighbours in Walden when our present day 2011 Truck #2 arrived). We added a second pumper / tanker to our Station in the late 90's from our neighbours in Blockhouse when they acquired surplus equipment from the amalgamation of the decommissioned Maitland Fire Department. Truck #3 is another milestone for the department (our second brand new purchase). It was the first in Nova Scotia to be equipped with compressed air foam and is still in use today, and it also carries the department's medical equipment. In 2007 we purchased our first NFPA compliant apparatus from New Brunswick based fabricator Metalfab Ltd. This is our present day Truck #1 which carries amongst other fire fighting equipment, our vehicle extraction tools (commonly known as "jaws of life") which were graciously purchased through the countless fund-raising efforts of our Auxiliary. In 1995 the Department signed on as one of the first in Lunenburg County to respond to medical emergencies which today accounts for close to 80% of our annual call volume. In the old days, department personnel were dispatched using a phone "fan-out" system. We had a dedicated emergency line that was listed in the local phone book (which residents would have to look up in the event of an emergency). The chief's wife would take the vital information, then she called four other ladies who then "fanned out" and called all fire fighters to alert them of the emergency. It was all word of mouth. There were no civic numbers in those days either, it was "Fred's house is on fire!" John Yates remembers the old heavy overall coats that came down below the knees. "I used to trip over mine", he says. Things are very different today with the Provincial implementation of our 911 system in the mid 90's when we took on coverage of the community of Newburne (who up until then had no fire protection) changing our name to Cornwall & District Fire Department. Today we are alerted through 9-1-1 dispatch by the pagers we carry as well as texts received through our personal cell phones to allow us the quickest response times available to our residents. We are fortunate enough to have many highly decorated members in our Department. A couple notables are John Yates who received Queen Elizabeth's "Diamond Jubilee Medal" for his many years of dedicated service to the community which was awarded in Ottawa by the Governor General of Canada and Ira Barkhouse who received the Lieutenant Governor's Medal of Bravery for his selfless acts following a plane crash near his place of work. The department is always looking for good people willing to volunteer their precious time to server the community. 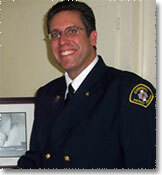 Your interests be with the department auxiliary or as a volunteer fire fighter or medical first responder. The choice is yours, and the rewards are the same.